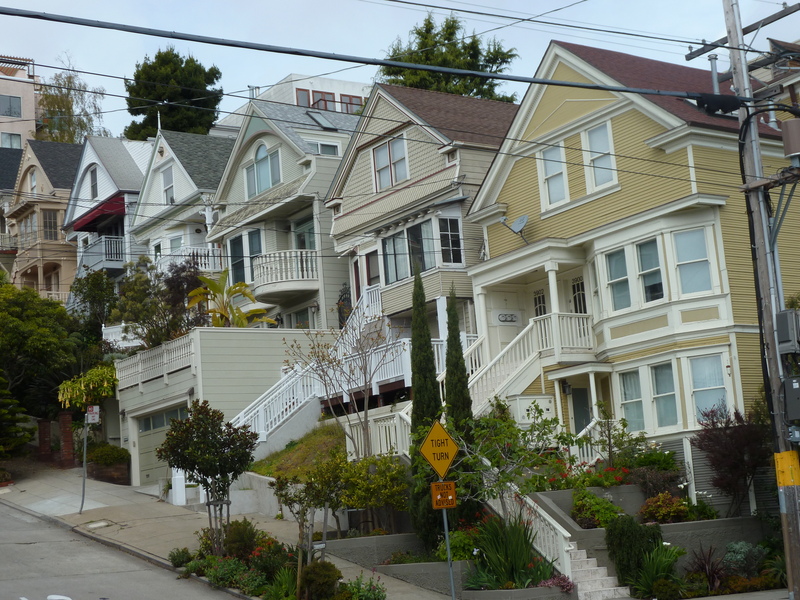 Ask any visitor to San Francisco what was the most distinctive local foodstuff they tasted during their stay and they are likely to reply “sourdough bread”. They may not have liked it because it is an acquired taste, but they will certainly have tried it, if only in the form of a bowl containing clam chowder or, for the more adventurous, the Bread Bowl Scrambler of eggs, bacon, cheddar, onions and bell peppers. 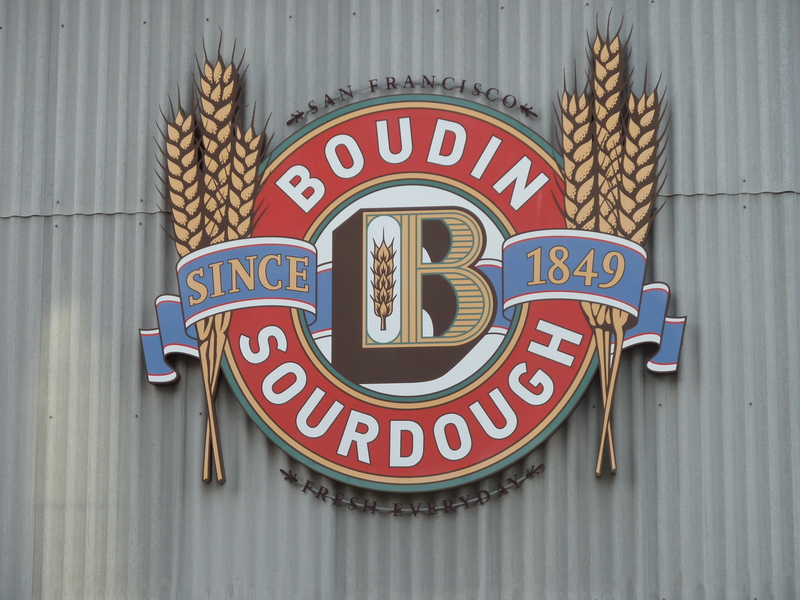 Isidore Boudin (pronounced “boo-Deen), member of a French immigrant family of master bakers from Burgundy, founded the bakery, making the “Original San Francisco Sourdough Bread” in 1849 at the height of the Gold Rush. It remains one of the oldest businesses in the city and still bears his name, despite having been, for much of the last 70 years, in the ownership of the Giraudo family. 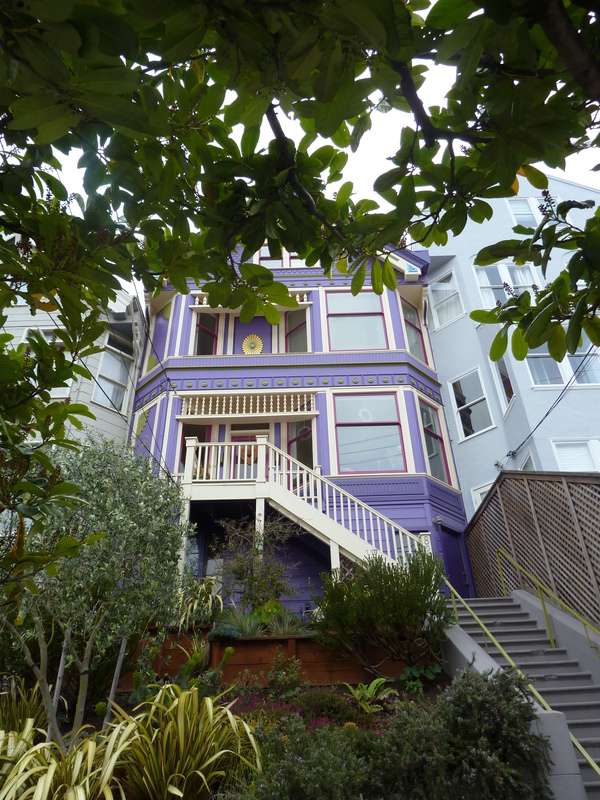 The original bakery, a tiny olde world affair, stood at 319 Dupont Street (now Grant Avenue) in what was a raucous North Beach district during the Gold Rush. Its unique flavour comes from a wild yeast that is found only in San Francisco’s foggy climate, making it a truly local product. 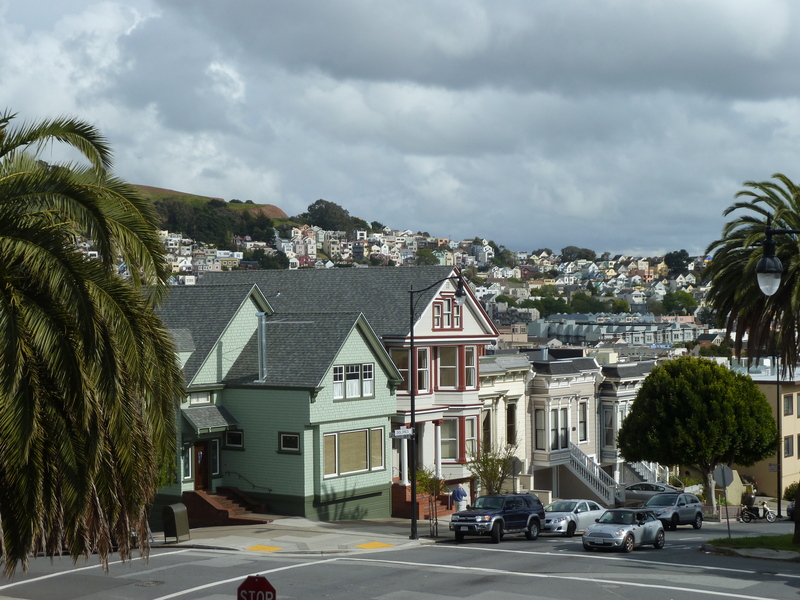 Indeed, in 1970, a Federal study isolated a previously unidentified microorganism named “Lactobacillus Sanfrancisco”, proving, as Jay Hansen claimed in his book, The Other Guide to San Francisco, that “you can take the sourdough out of San Francisco, but you can’t take the San Francisco out of the sourdough”. This would account for the fact that, although sourdough is becoming increasingly accessible in Farmer’s Markets in the UK, it tastes nothing like the “real thing”. Boudin perfected his recipe by combining his family’s traditional French baking methods with the “sour” or tangy dough taste beloved of the gold miners, to produce, in the company’s words, the “signature dark-gold, crunchy crust, soft chewy center and distinctive flavor”. His secret lay in using the “mother dough” as a natural starter and allowing the bread to rise and “sour” at its own speed. Even when caked yeast became the industry norm, he continued to use his slow method of leavening the bread with the mother dough. When he died in 1887, his wife of 14 years, Louise, with the support of their four children, especially daughter Lucie, ran the business successfully for 23 years, moving twice, in 1890 to 815 Broadway and then in 1906 to its present 10th Avenue and Geary Boulevard location in the Inner Richmond district. 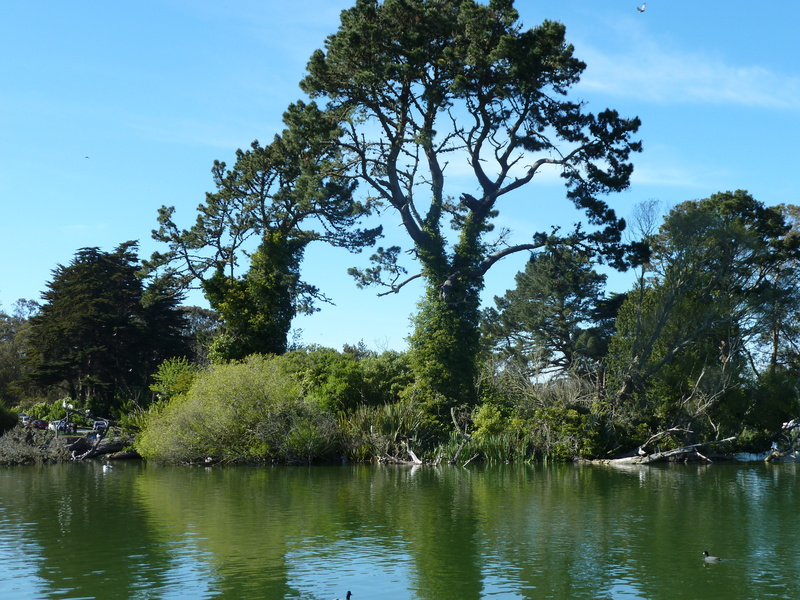 Louise’s greatest triumph was in rescuing the mother dough during the 1906 Earthquake and Fire by mobilising the family to carry it in buckets of ice to Golden Gate Park where they baked bread over open fires. This ensured that they always kept a portion of the mother dough to mix for the next day’s bread. A formidable woman, she earned the title of the “social leader of the French colony”.e starter-yeast-bacteria culture that Isidore developed back in the 1840s. At the start of the mixing process, a piece of the mother dough is combined with flour, water and salt, divided into batches and shaped into loaves, which are refrigerated for 24 hours. 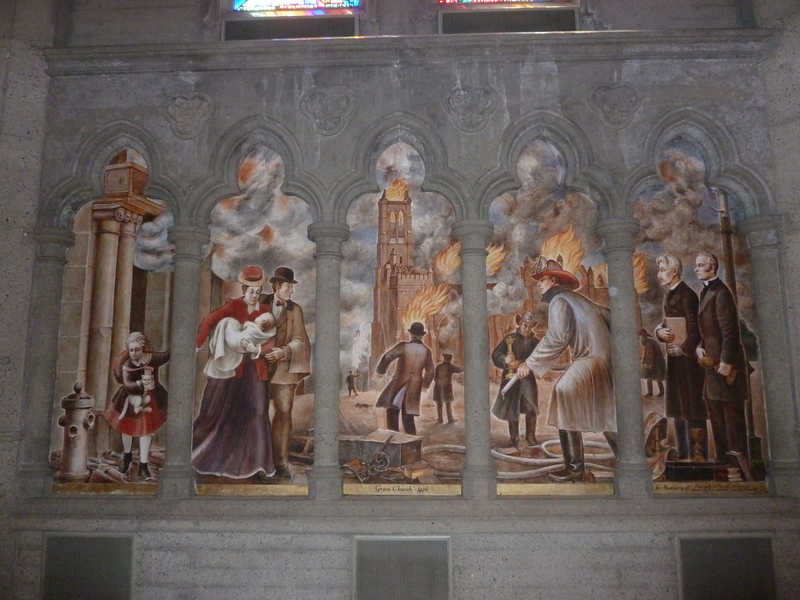 The loaves are placed in a proof – or steam – box to rise. They are then scored, or slit, and baked in a 400 degree oven. Despite the advent of mechanisation and modern baking methods, the company has steadfastly refused to use fats, sugars, preservatives, or dough conditioners, insisting that only natural ingredients be used. 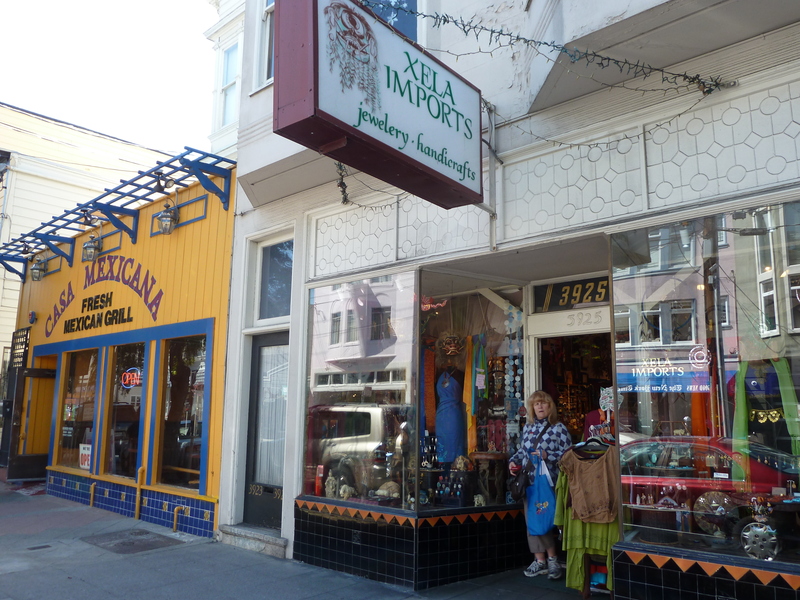 Recent visitors will be familiar with the half block long flagship store on Jefferson Street on Fisherman’s Wharf which opened in 2005. Within its 26,000 square feet of space are an espresso bar, bistro, full service restaurant and private dining room, Bakers Hall market, museum and 5,000 foot demonstration bakery where the dough is mixed on a platform 20 feet above the ground floor, then tossed to the bakers below. Passers-by are able to watch this spectacle through the 30 foot observation window fronting the bakery or, more excitingly, from a catwalk suspended directly over the bakery. Nearly 3,000 loaves are produced daily for sale in the adjoining café and shop. 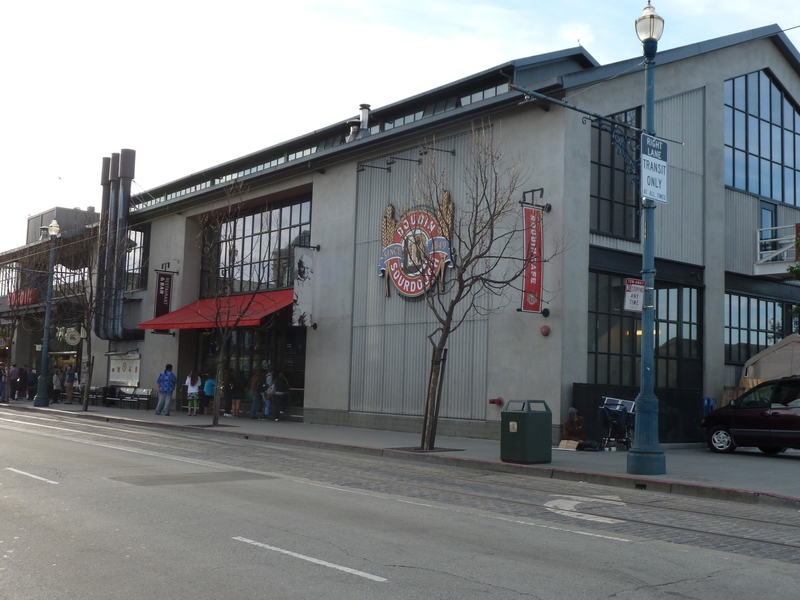 The museum upstairs chronicles the history of sourdough bread on a 28 foot timeline, focusing on the history of San Francisco through the eyes of bakers. Numerous artefacts associated with the baking process are also on display, including an antique baking wagon used to deliver bread, a replica of Louise’s desk and a carving of the founder himself. 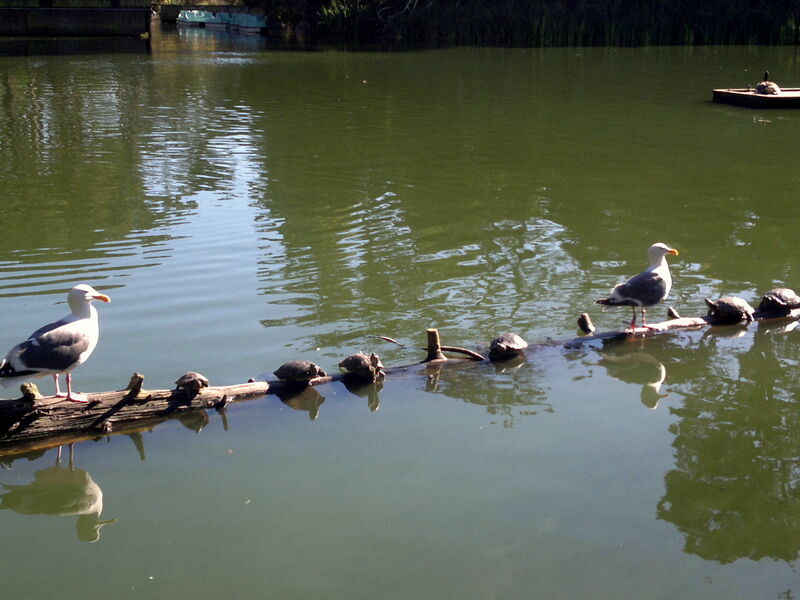 In total, around 20,000 loaves are sold every day in the San Francisco area. 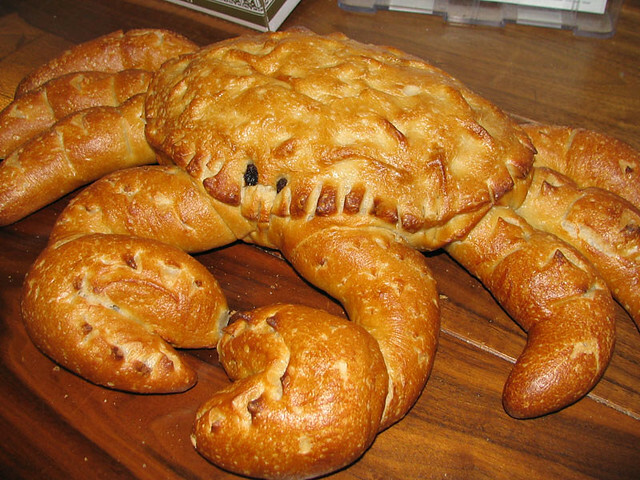 In addition to the 20 different flavours used, loaves are sculpted into numerous exotic shapes on request, including crabs, turtles, alligators, turkeys, pumpkins, shamrocks, snowmen and cable cars. Boudin now has around 30 other bakeries in California, including one at at Disney’s California Adventure Park which includes the hour long attraction The Bakery Tour. I intimated at the beginning of this piece that the “Original San Francisco Sourdough Bread” is an acquired taste. 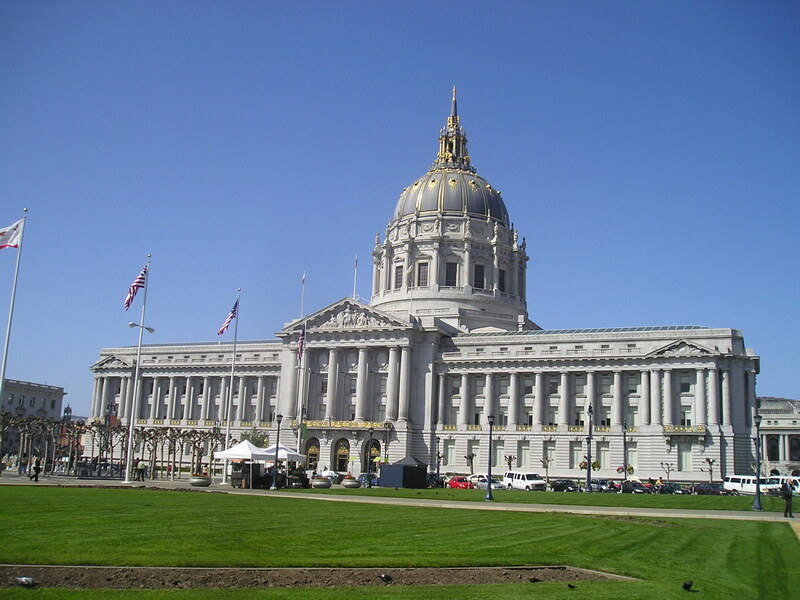 In 1990 city residents voted Boudin their favourite San Francisco bread. Herb Caen claimed in the San Francisco Chronicle that “Fresh cracked crab with Boudin’s round “dark bake” sourdough and a well-chilled bottle of California Chardonnay is still the quintessential S.F. meal”. Well, I’d like to raise a glass to that and say both “Merci” and “Santé” to Monsieur Boudin! 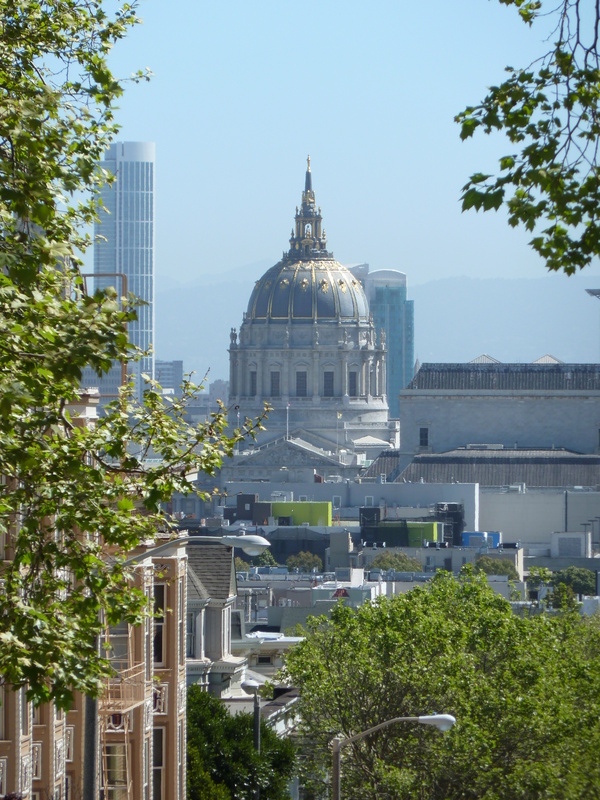 Next time your cable car teeters tantalisingly on the intersection of Powell and California, hop off and take the short uphill hike to Nob Hill, so named for the grand edifices built and once occupied by the wealthy railroad barons and other nineteenth century entrepreneurs. 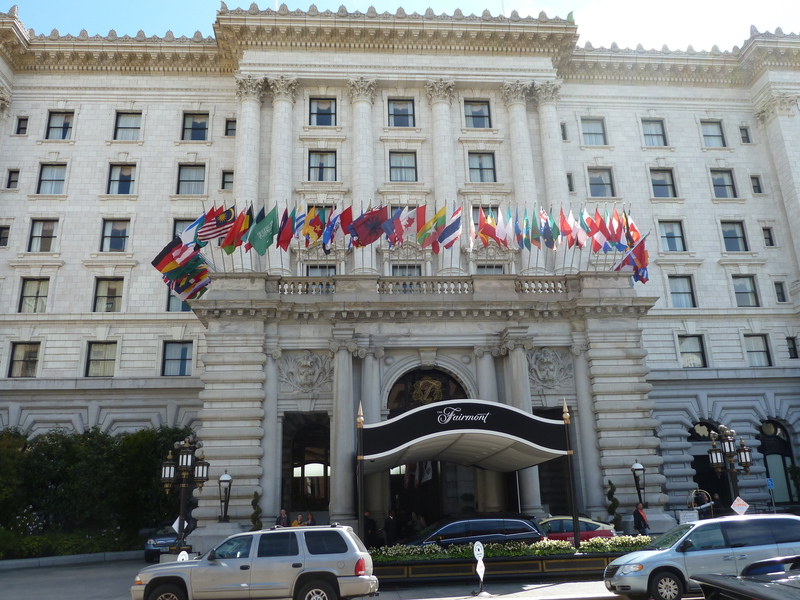 It is still home to some of the most prime real estate in the city. Powell-Mason lines – but no less fun! 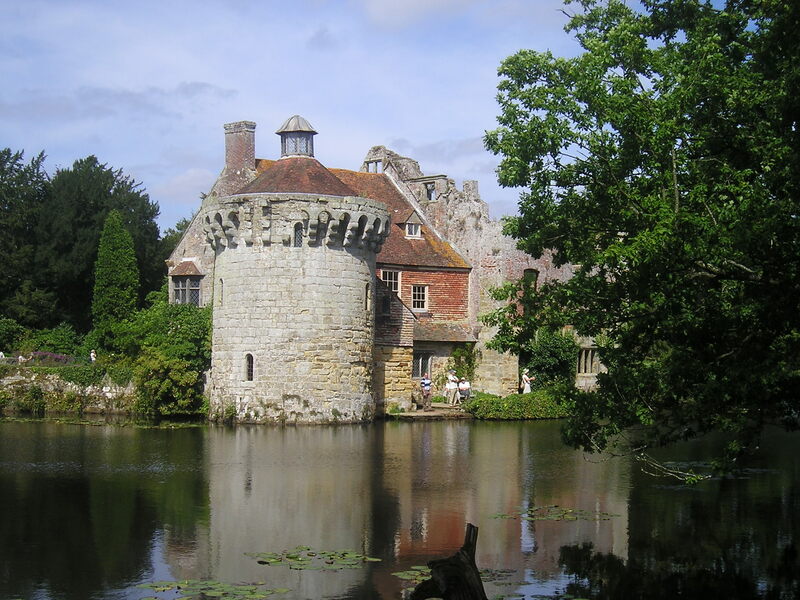 My home county of Kent has some of the finest castles and country houses in Britain. 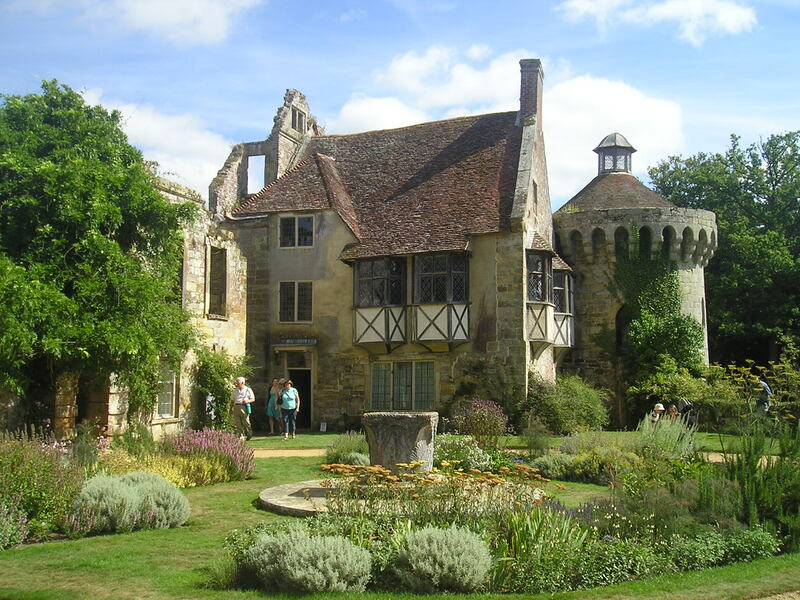 But my personal favourite is Scotney Castle near Lamberhurst on the Sussex border, a privately owned property for more than 600 years before it was bequeathed to the National Trust in 1970. 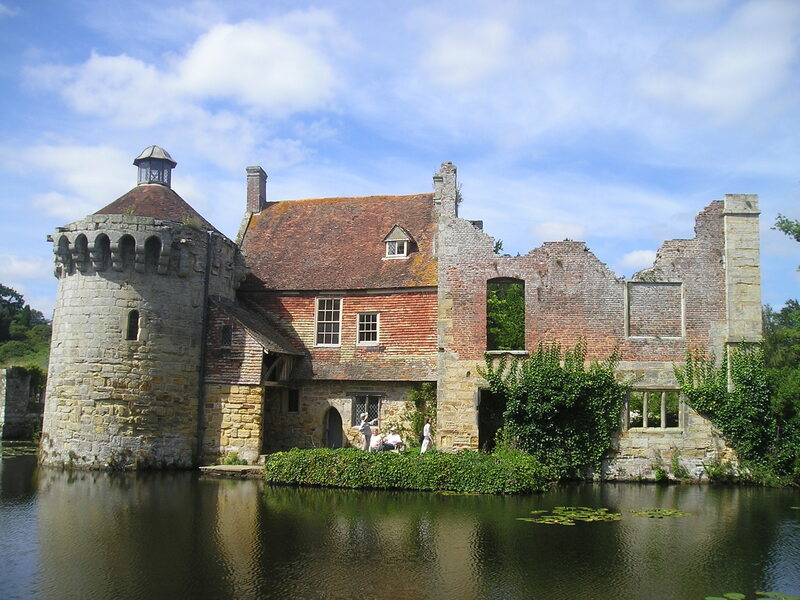 The moated manor house’s ruins, with the small, lily-pad strewn lake caressing its walls, are the epitome of English romanticism. 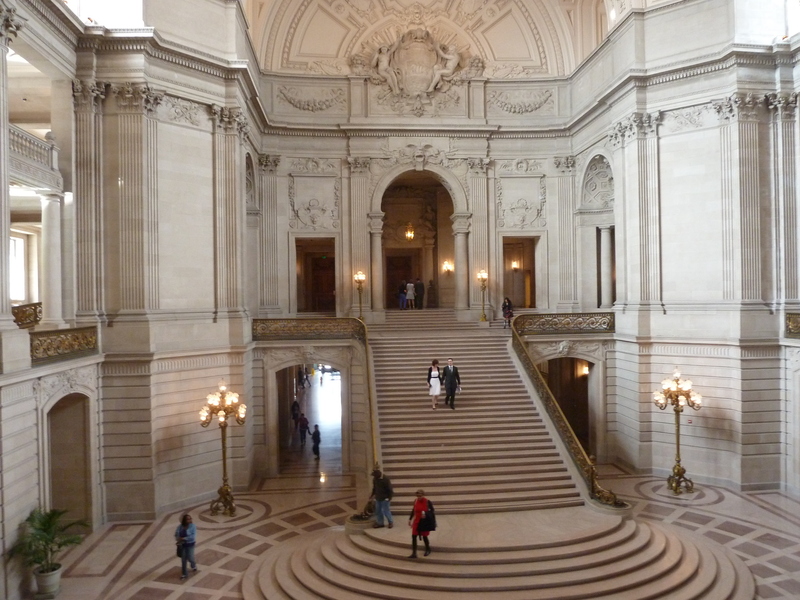 Sometimes overshadowed by the more instant charms of the waterfront and Union Square, and by the seediness of the surrounding Civic Center area, City Hall is one of San Francisco’s most precious jewels. Its beautiful dome, resembling St. Peter’s in Rome, is the fifth largest in the world and is even forty feet higher than the U.S. Capitol in Washington D.C. 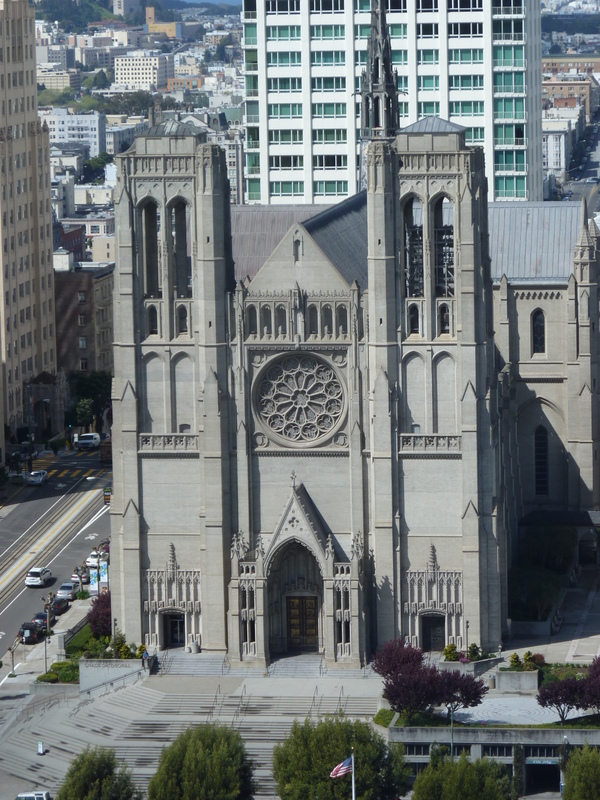 Moreover, designed to withstand an earthquake, it is actually the world’s largest building not touching the ground. 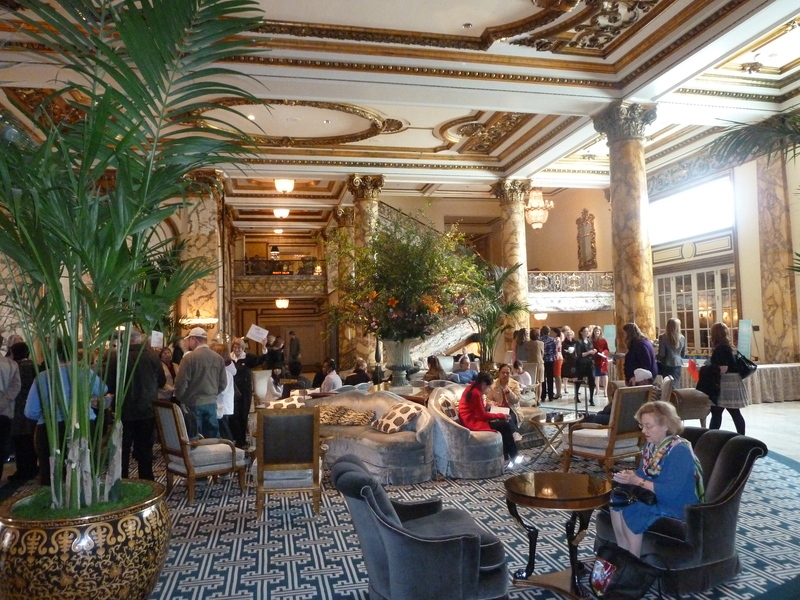 The interior is no less glorious with its central copper-domed rotunda and gleaming marble floors, and the offices must be some of the most palatial enjoyed by local politicians anywhere. 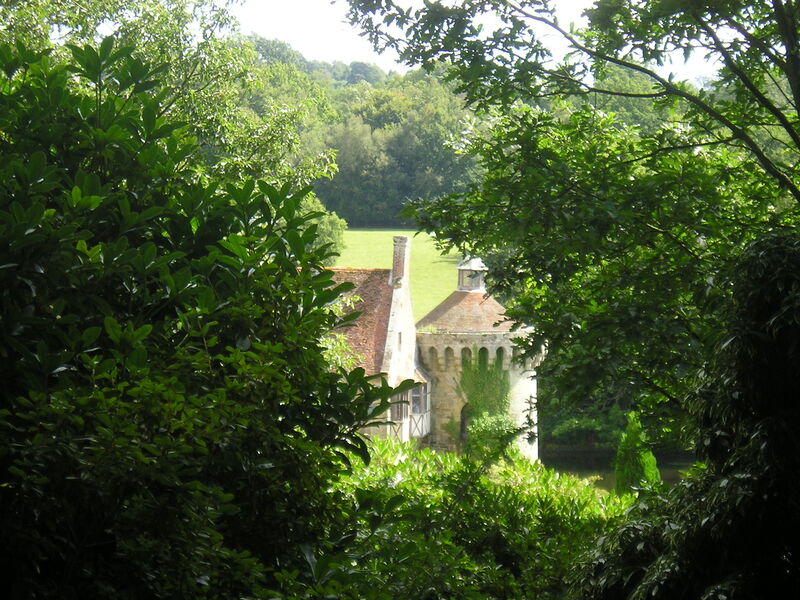 The above photograph illustrates its popularity as a wedding venue. 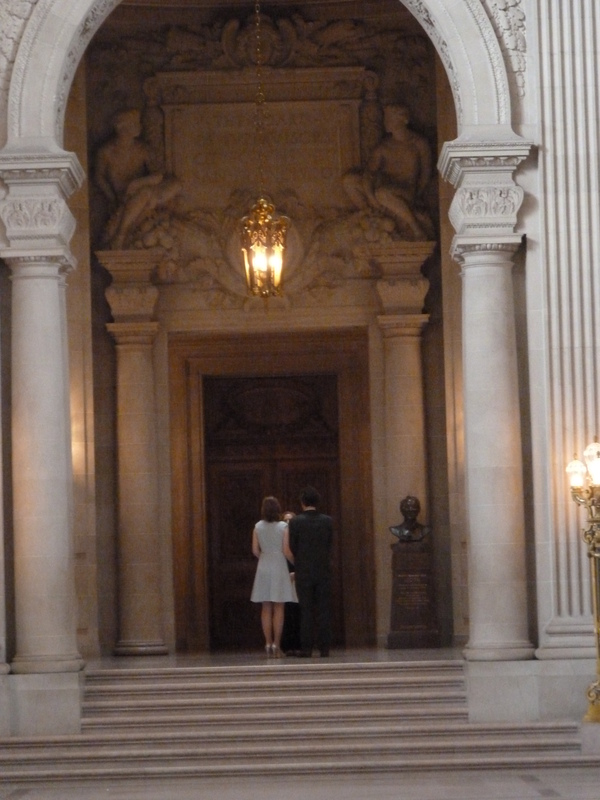 On any working day, a continuous stream of couples tie the knot on the landing above its monumental staircase. Whether you are a resident or a visitor, and you have not taken the opportunity before, walk inside and revel in its splendour. 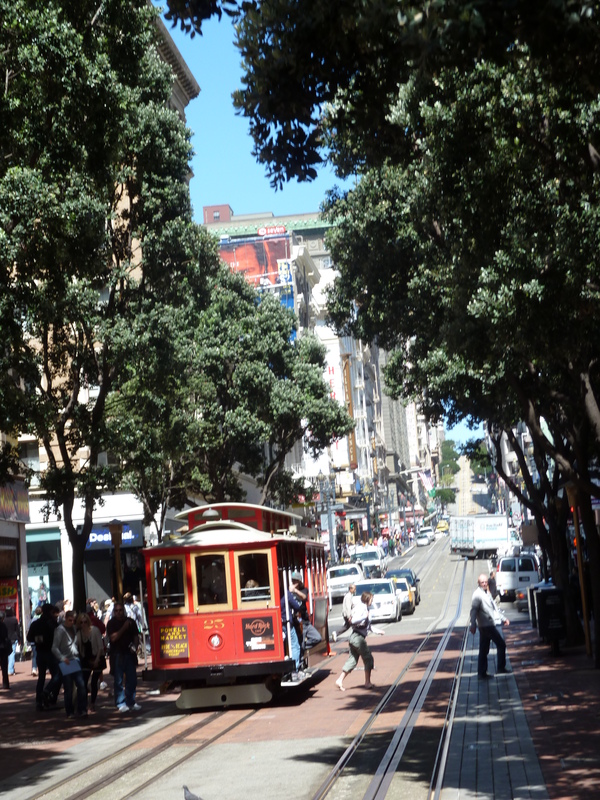 Those “little cable cars” climbing “halfway to the stars” are one of the best loved and most iconic experiences for any visitor to San Francisco. But few tourists hanging onto that lead rail as the Powell-Hyde car plunges down to the bay, or commuters perched atop Nob Hill on a California Street car about to sweep past the swanky hotels en route to the Financial District, will be aware that there was a time, shortly after the Second World War, when they became an endangered species. 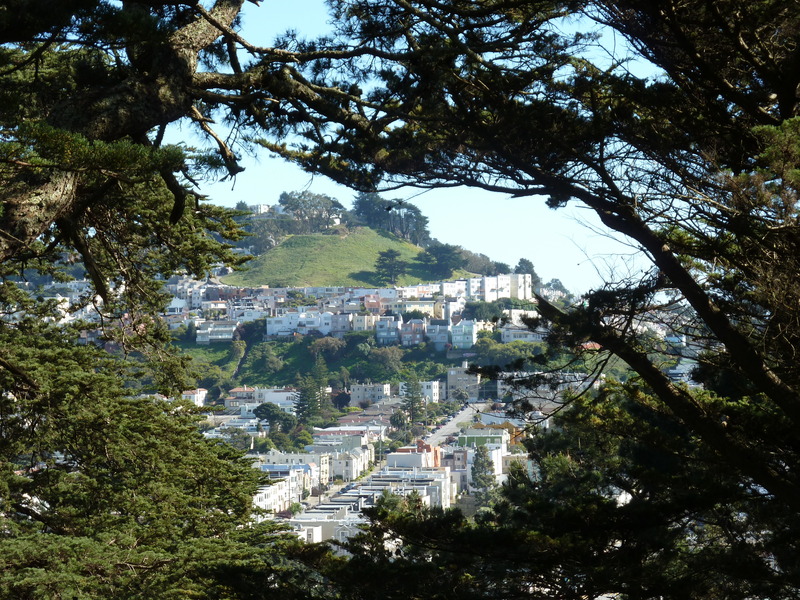 Or even less so of the fact that they were saved for future generations through the foresight and resilience of a genteel, middle-aged lady from the eastern slopes of Telegraph Hill. 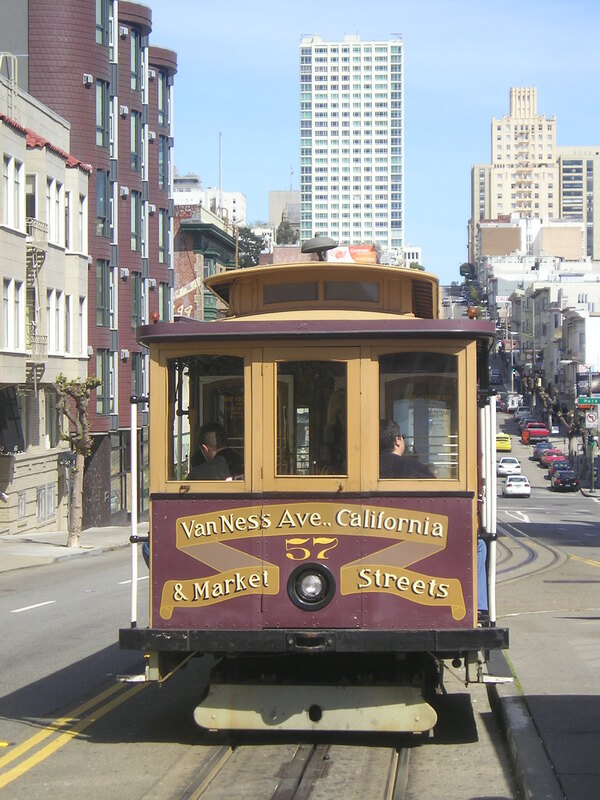 The devastating earthquake and fire of 1906 destroyed much of the cable car system and triggered the rapid expansion in construction of electric streetcars with overhead wires, the first of which had been built in 1892. 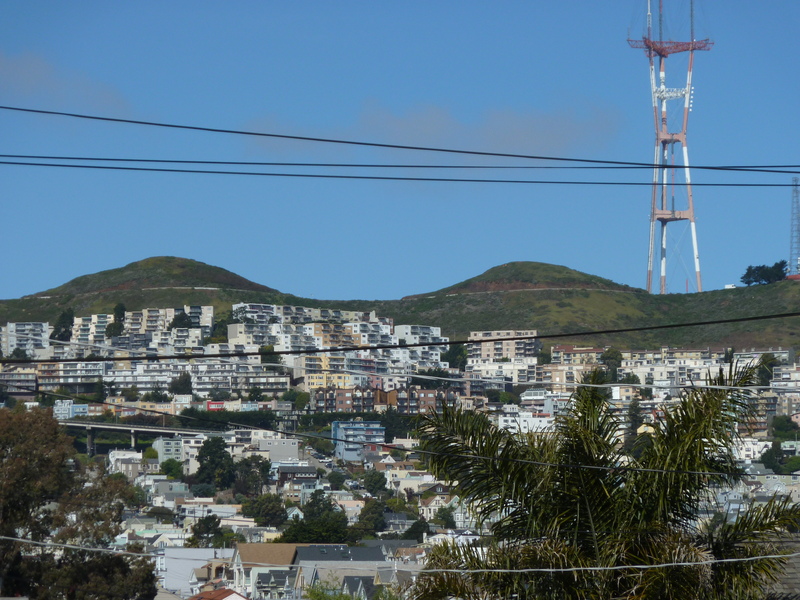 And once it had been shown that the latest municipal buses, unlike the streetcars, could negotiate the steep hills, the continued viability of Andrew Hallidie’s invention was called into sharp focus. 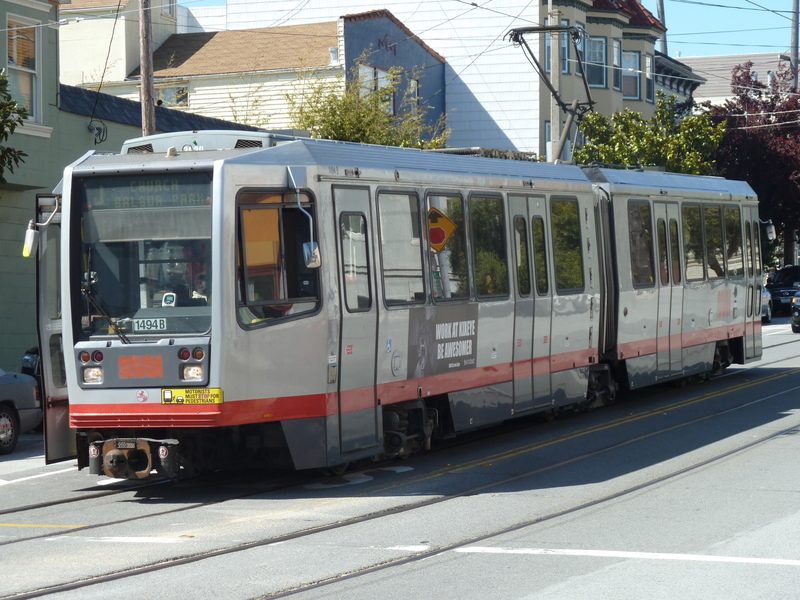 By 1944 there were only five lines left in operation – the three independently owned by the California Street Cable Railroad (Cal Cable) and the Powell-Mason and Washington-Jackson lines owned by the San Francisco Municipal Railway (Muni). On 27th January 1947, in his annual message to the Board of Supervisors, Mayor Roger Lapham, a New York businessman who had been elected with a mandate to streamline the city’s finances, announced that the “city should get rid of its cable cars as soon as possible”, claiming that they were losing $200,000 a year. 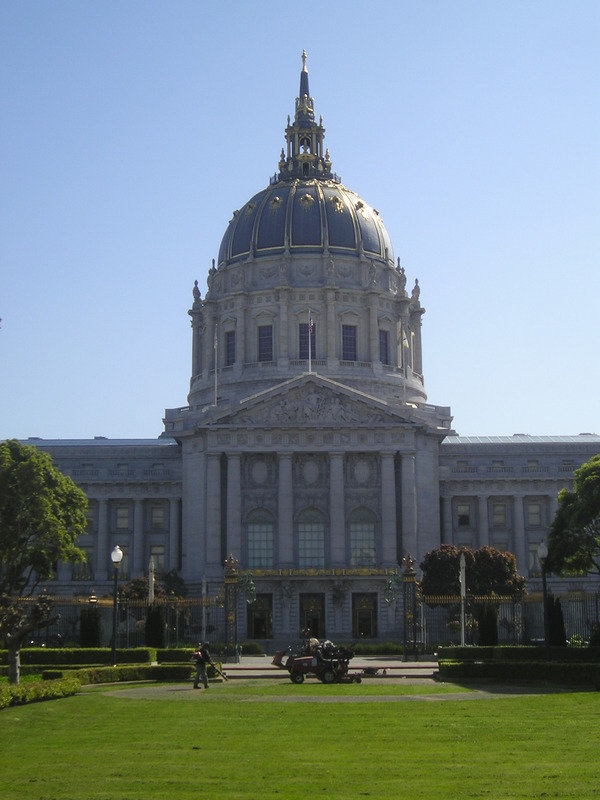 Lapham’s vision of “super buses” replacing the cable cars met with little public favour, and the San Francisco Chronicle encapsulated the opposition’s argument in its editorial of 3rd February when it wrote that: “bus lines would be a good deal less expensive. But against this saving should be weighted………the market value of an institution which helps make the city stand out among cities of the world”. 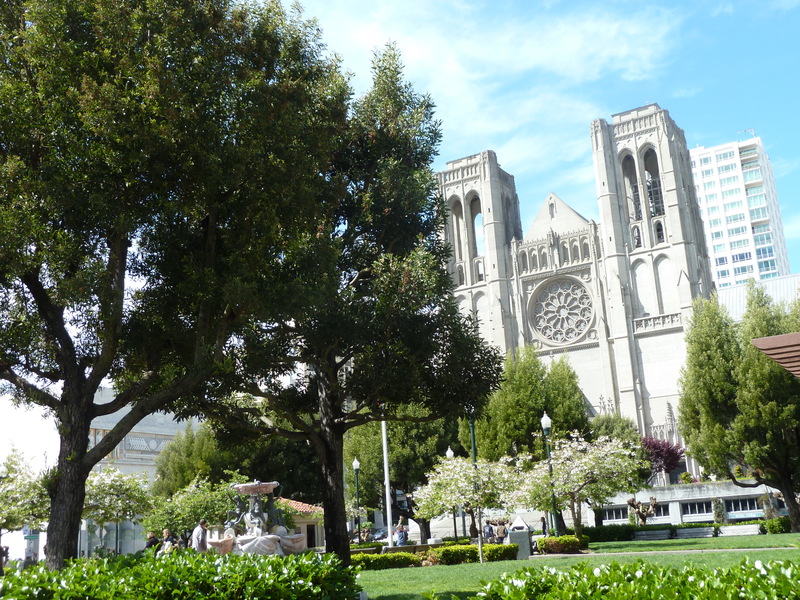 But the strongest advocate for their retention came in the unlikely form of prominent socialite, Mrs Friedel Klussmann, who, outraged by this pronouncement, immediately began to mobilise opposition through the equally improbable auspices of the California Spring Blossom and Wildflowers Association and the San Francisco Federation of the Arts. On 4th March, within sight of the Mayor’s office, she held a joint meeting attended by leaders of 27 women’s civic groups and formed a Citizen’s Committee to Save the Cable Cars, collecting more than 1,000 signatures in the first four hours of its campaign for an initiative charter amendment, a figure that was to rise to 50,000 by the end of the battle with City Hall. 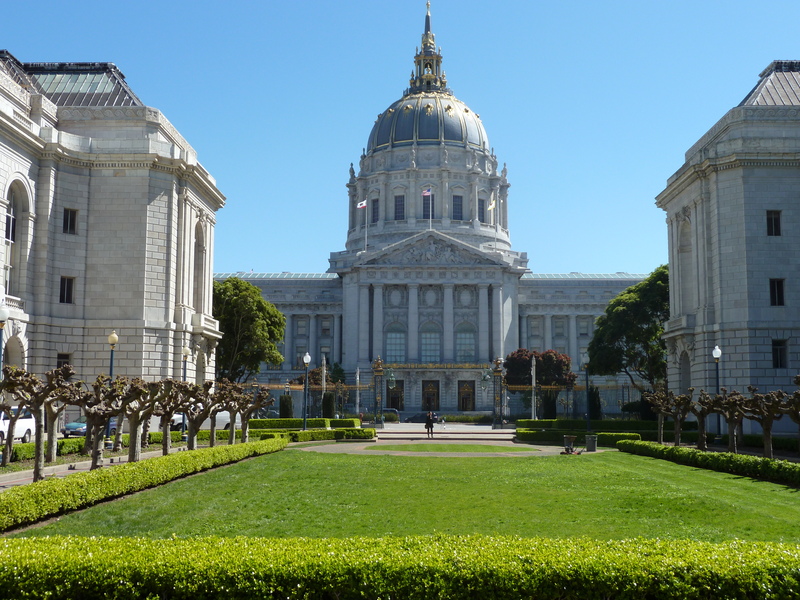 Despite the increasingly desperate arguments emanating from the Mayor’s office, the Board of Supervisors voted 7 to 4 to place Measure 10 on the November ballot. Neither Mrs Klussmann nor her Committee were mere soft-hearted sentimentalists, and they put forth a robust rebuttal of the economic argument for closure in a detailed press release that spoke about the “$34,630,522 of new money” generated by tourism in the previous year, adding that San Francisco “is constantly striving to interest the rest of the world in its historical and colorful background, of which the cable cars are the No.1 attraction”. 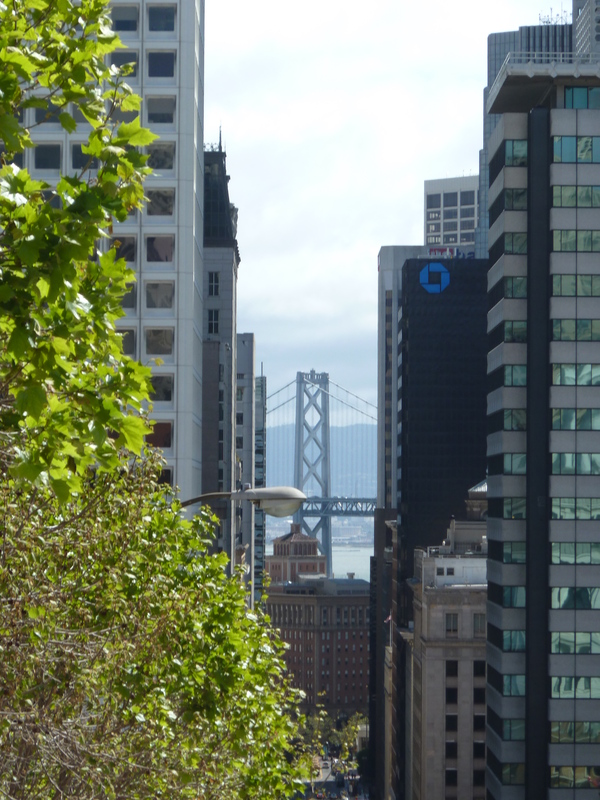 The loss of the Powell and Market turnaround would be a blow to the city’s identity that “cannot be measured”. As Life Magazine put in in its 24th February edition: “It was as though Venice had proposed ridding itself of its gondolas”. Visiting celebrities, including Elenor Roosevelt, publicly endorsed Mrs Klussmann’s campaign. Newspapers were inundated with letters of support for the cable cars and accounts from passengers of their grim experiences waiting for and riding buses. 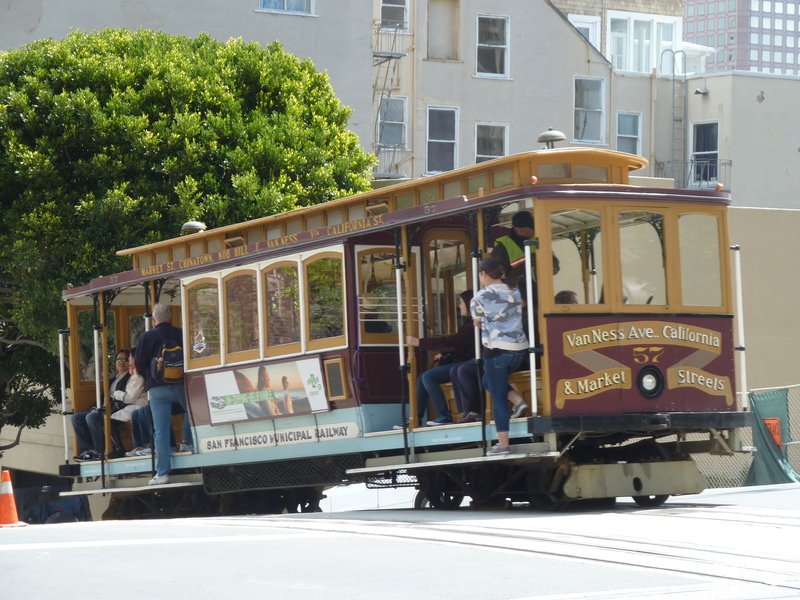 Measure 10 compelling the City to maintain and operate the existing cable car system was passed overwhelmingly by 166,989 votes to 51,457. 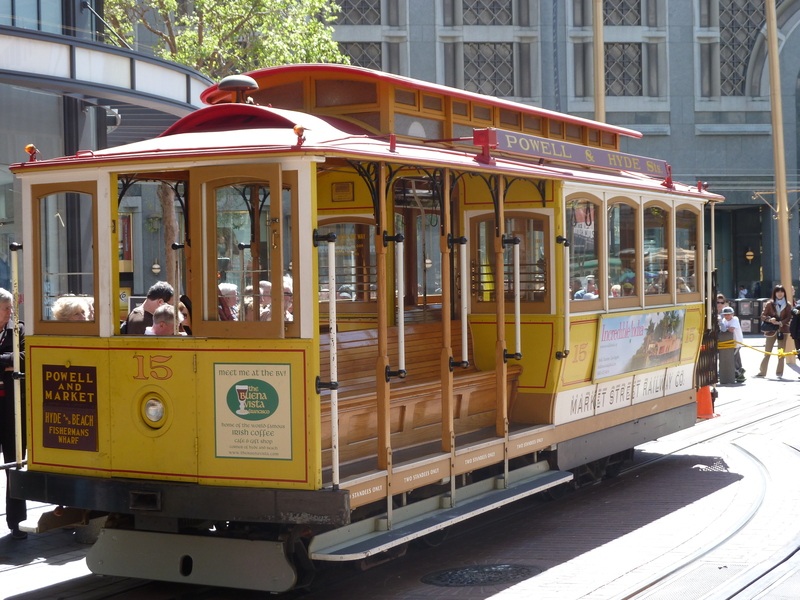 In her victory statement Mrs Klussmann said: “It is wonderful to know that San Franciscans appreciate their famous, efficient and safe cable cars”. The Committee was galvanised again in 1950, 1951, 1954 and 1971 to fight further cost-cutting measures, with modest success. 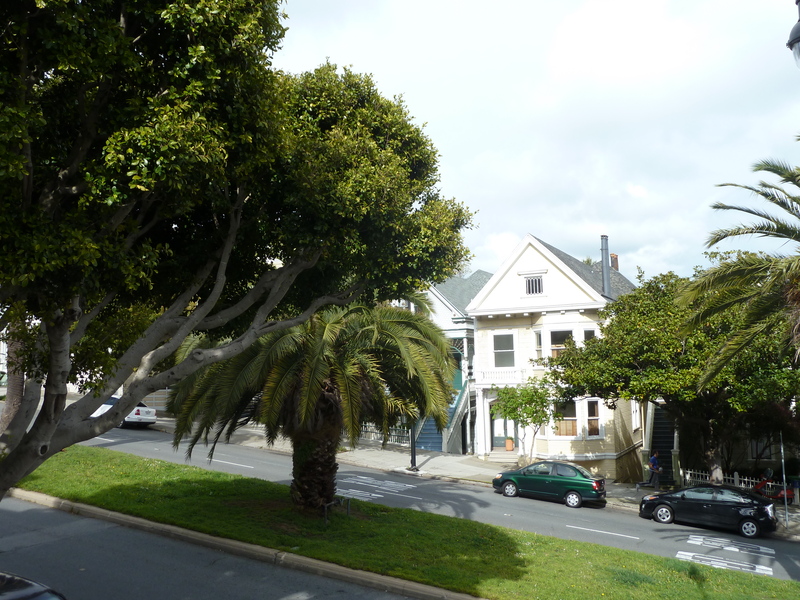 In the same year Mrs Klussmann also founded San Francisco Beautiful (www.sfbeautiful.org), the “only organisation in San Francisco whose sole purpose is to protect and enhance the city’s urban environment”, working to “improve the quality of daily life, strengthen communities and empower citizens to maintain the character of the city’s parks, neighbourhoods and streets”. 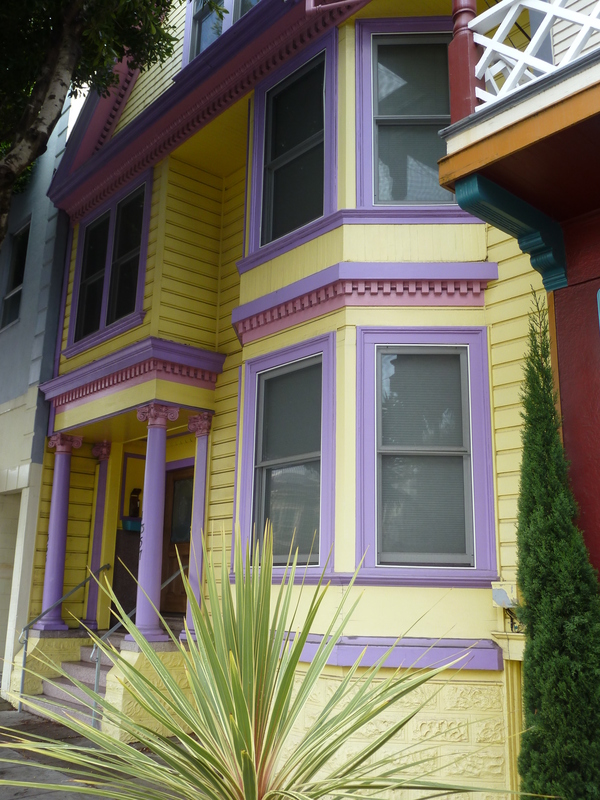 It continues to do excellent work today, not least through its Friedel Klussmann grants made to organisations that “seek to maintain or enhance San Francisco’s unique beauty and livability”. 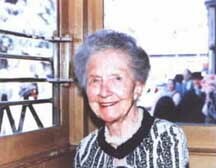 When she died at the age of 90 in 1986 the cable cars were decorated in black in her memory. On 4th March 1997, the fiftieth anniversary of the Committee’s initial meeting outside City Hall, the Friends of the Cable Car Museum dedicated a mural to Mrs Klussmann at the cable car barn. The turntable at the outer terminal of the Powell-Hyde line was also dedicated to her. So next time, dear visitor, when you skirt the ridge of Russian Hill on a clanking, rumbling Powell-Hyde cable car and catch your breath at the bay vista spread out before you, spare a thought for the prosperous, middle-aged lady, whose vision and courage sixty years ago ensured that you can have those unforgettable experiences today. I am particularly indebted to Walter Rice and Val Lupiz’s excellent article The Cable Car and the Mayor (www.cable-car-guy.com/html/cclm.html#top) for much of the detail provided above. 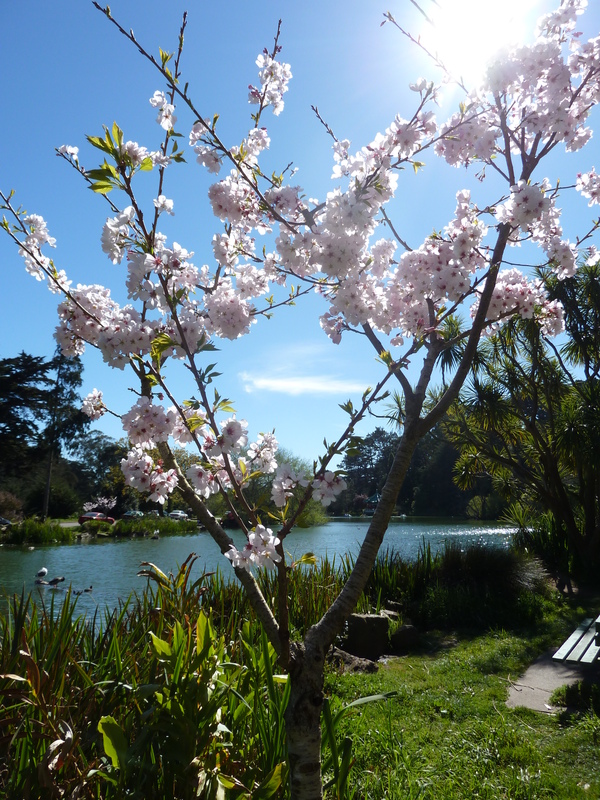 Stow Lake is frequented more by residents than tourists who are rather drawn to the heavily promoted, and undeniably impressive, adjacent attractions of the de Young Museum, California Academy of Sciences and Japanese Tea Garden. Yet it is only a few minutes walk away. We stumbled upon it purely by accident on our second trip to the city fourteen years ago. Venturing west from those headliner venues, you quickly come across a pathway and 26 steps that lead to the south side of the lake. 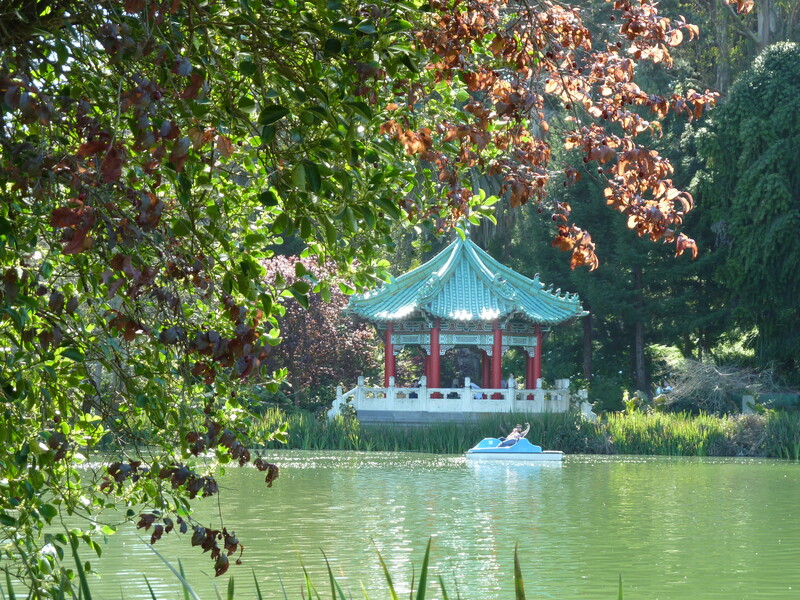 In the dense trees on the island opposite you soon encounter the charming Chinese Pavilion, a gift from the people of Taipei, shipped in 6,000 pieces and reassembled in 1981. 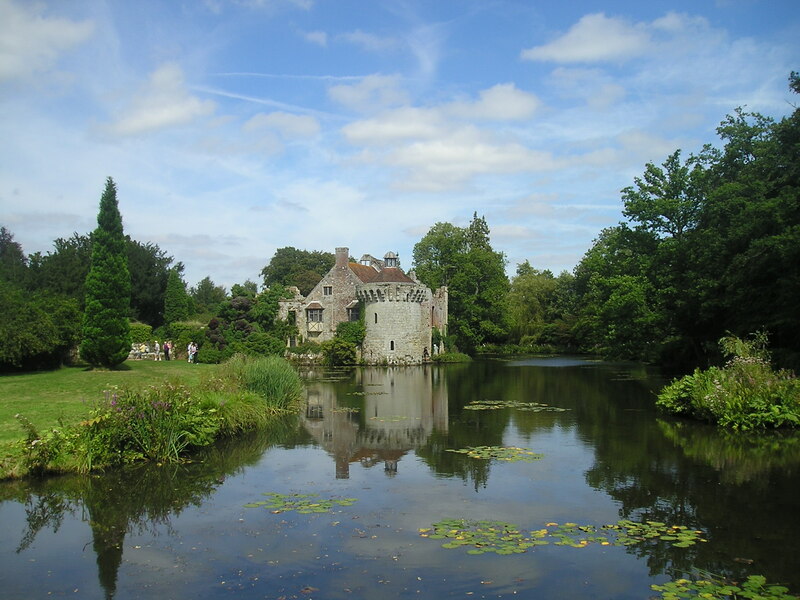 As you stroll along the path that encircles the lake you gain an immediate impression of both serenity and bustle. Young families, pushing strollers and trying to contain excited children, compete with joggers, dog walkers, cyclists and elderly immigrant couples reliving their first date 50 years ago for the narrow path. 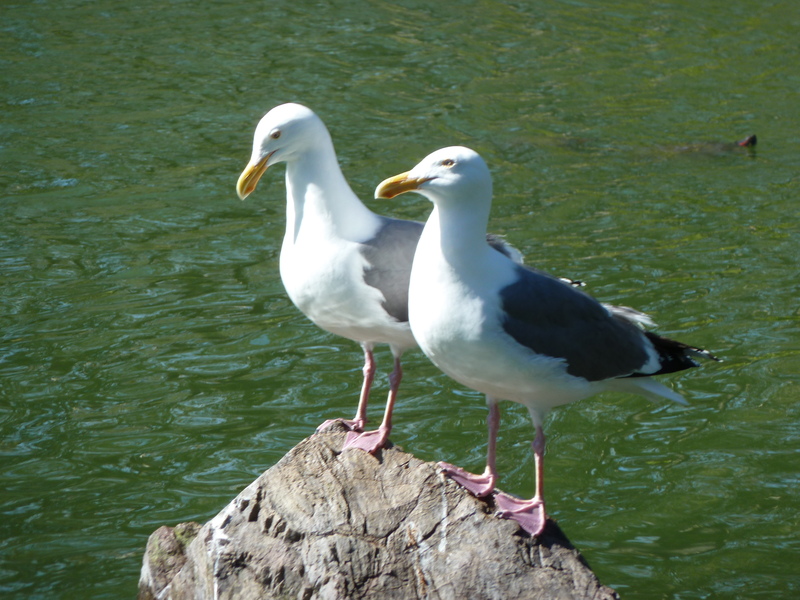 Ducks, gulls and other bird life glide along the placid surface, scanning for potential feeding stations wherever humans congregate by the water. 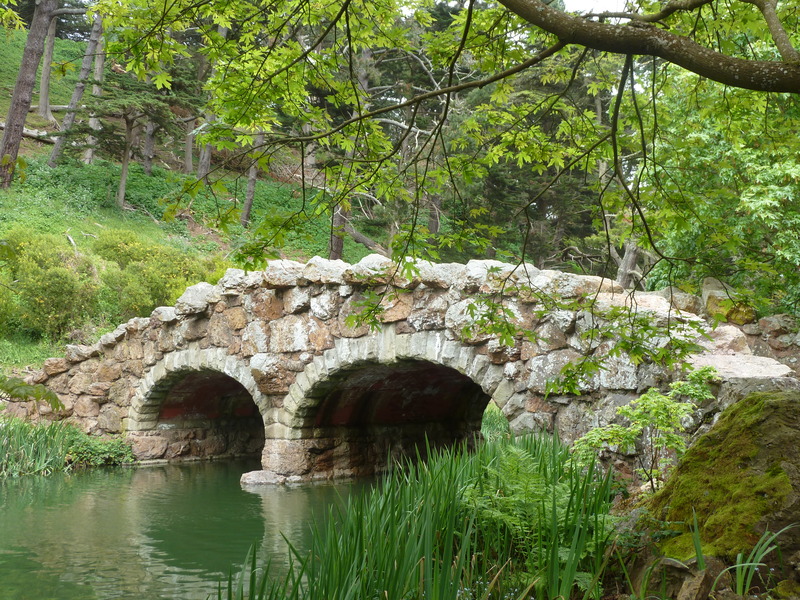 For now, pass the rustic stone bridge on your right and continue along the path that leads to the boathouse (new photo) where you will be able to rent paddle boats, row boats – new, I believe, this year – bicycles, and in-line skates. Restrooms, picnic tables and a surprisingly well stocked snack bar greet you here also. Indeed, it has the distinction of being the first place in the U.S. where I tasted a vegetarian hot dog (whilst Janet ate ice cream!). 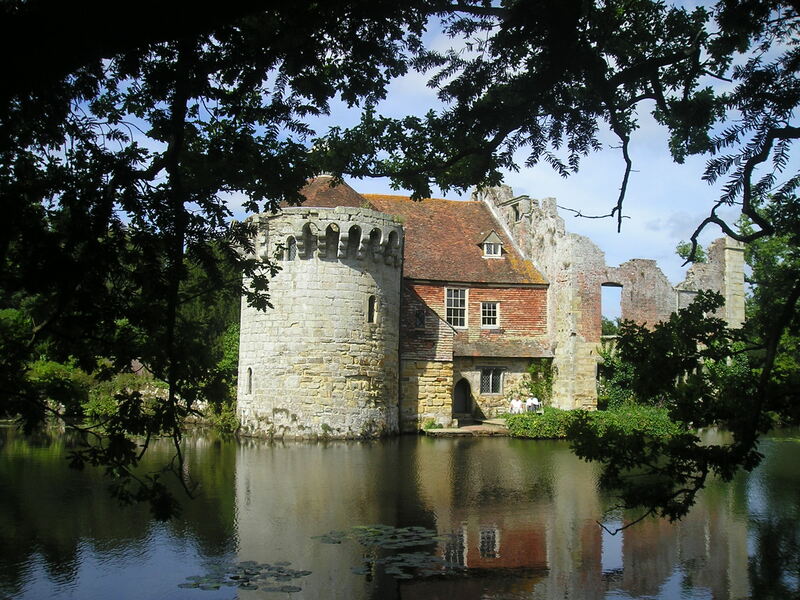 You can either retrace your steps from the boathouse and access the island across the stone bridge (new photo), or you can approach it by crossing the second “Roman” bridge which appears shortly in the opposite direction. Be sure not to miss Huntington Falls which cascade down into the lake close to the Chinese Pavilion.